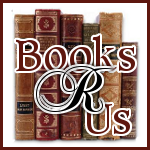 I want to welcome Chris Thrall to Books R Us. Chris is the author of Eating Smoke and is touring the Blogosphere with Lightening Books Promotions. Thanks for stopping by. Chris Thrall left the Royal Marines to find his fortune in Hong Kong, but instead found himself homeless and addicted to crystal meth. Soon he began working for the 14K, Hong Kong's largest crime family, in the Wanchai red-light district. Dealing with the 'foreign triad' - a secretive expat clique connected to the Chinese mafia - he had to survive in the world's most unforgiving city, addicted to the world's most dangerous drug. When I first read the title, I was intrigued and did not know what to expect. I have read many memoirs and Eating Smoke was fantastic. There was one line in the book "I'm not a stupid guy, just an average guy who does stupid things." that was so true and made me realize that we all make mistakes in our lives. There were so many emotions depicted in the book that included fear, sadness, loneliness, frustration, humor and paranoia. As I read on, there were parts that I was swept away in the paranoia and I was unsure what scenes were real. Even when Chris was at his lowest, I still liked him and I was rooting for him. There were so many crazy characters that Chris met along the way who either helped him or drove him deeper into drugs. The book was well written and I finished it rather quickly. This is a great memoir full of emotions and I recommend the book to everyone. It will give you an insight into the world of drugs and how it can affect you and possibly your family. I received a free copy of the book for my honest opinion and I was not compensated for my review. Thanks for being a part of this blog tour!